Scammers cracked Val’s Gmail account yesterday, and sent mail to several (possibly all) people in her address book begging for money and saying she was stranded in Scotland. This has happened to several other people I know, and I doubt that anyone we know would fall for this scam, but here’s a warning just in case. Most of the scam letters sent out seem to say that the owner of the e-mail account is stranded there, so perhaps the scammers are themselves based there. Here is an update, posted on 19 June 2010. It illustrates what I was talking about in the previous message about “identity theft”. In this case the “phisher” was personating Google. If you get a message like this, do not reply to it, but click on the arrow next to the “reply” button and select “Report phishing” and send it there. I am sending this to all the people in my address book who have G-mail addresses. If you were in Val’s address book as well you have probably already received some spam my now. Val’s account has now been restored, BUT the phisher also redirected all incoming mail to his account, and deleted it from Val’s G-mail account, so she’s now going through the Trash folder to restore the mail. Also, her address book was empty, which probably means that they have the contacts list, so Val’s contacts will probably continue to receive spam. See also the previous message on identity theft and family history. A few days ago I found the web site of a hitherto unknown cousin, Penny Howell, who is also descended from the Vause family, and in following up some loose ends on that family discovered another web site that deals with Isle of Axholme family history, Axholme Ancestry. It seems to be a remarkably useful site for anyone whose ancestors come from the Isle of Axholme. 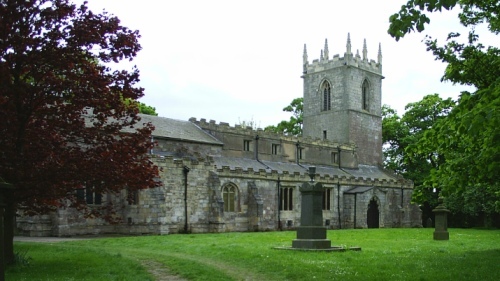 Our Vause ancestors seem to originate in Epworth in the Isle of Axholme, which is north-west Lincolnshire in England. 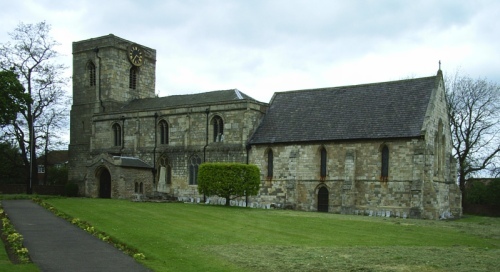 There seem to be several Vause families in Epworth and in the neighbouring town of Belton, and the Axholme Ancestry site lets everyone put their families into a single database, which should make it easier to find out if there are any links between them. 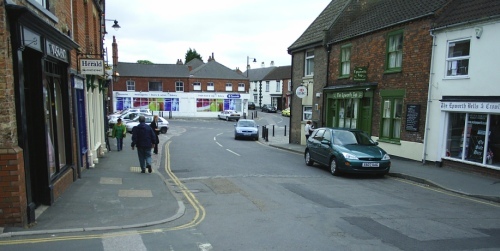 Though they started in Epworth our Vause family moved around a bit, because they also lived in Fishlake and Thorne in Yorkshire, and my great-great grandfather, Richard Vause (1822-1886), was born in Hull, across the river Humber, in the East Riding of Yorkshire. The whole area is sometimes called Humberside, which is a good geographical name, though some people objected to it because it was a short-lived administrative county that took people out of their traditional counties. But the Axholme Ancestry web site covers a lot of the neighbouring towns and cities as well, because ours wasn’t the only family that moved around. Richard Vause’s father, John Vause (1784-1863), was born in Epworth. He was a maltster of Myton in Hull at the time his eldest son Richard was born. He lived at Thorninghurst, near Thorne, Yorkshire from about 1825-1835, then moved to Crowle, where he was an innkeeper of the Cross Keys commercial hotel. There were other Vause families that lived at Crowle too, the database at Axholme Ancestry may make it a bit easier to find links between them. I recently came across another Vause cousin on the web, Penny Howell in Canada and have been looking again at the earliest Vause ancestors we have recorded. The earliest member of the Vause family that we know of is Robert Vause, of Kelsey in South Lincolnshire, who voted in Epworth in the election of the Knights of the Shire, and died in 1748. But that is open to question. The information came from Arthur Wyatt Ellis who compiled (or had compiled) a family tree which made its way to several members of the family in South Africa. Don Stayt had a photocopy, as did Mollie Vause-Doyle. The information may have come from the will of this Robert Vause of South Kelsey, who apparently left his lands in Epworth to his son Robert. The tree shows two other sons, Richard and Thomas. Richard is our ancestor. Arthur Wyatt Ellis was born about 1880 in Reynoldston, Glamorgan, Wales (according to the 1880 census), the son of Henry Vause Ellis, who was himself the son of Phineas Samuel Ellis and Fanny Vause. He obviously maintained some contact with the family in South Africa, since his family tree made its way here. But it seems more likely that Richard and Thomas were the sons of John Vause and Anne Gilliott of Epworth, who were married in Epwoth in 1702. If so, then there were two other brothers, John and Alexander, but no Robert. Perhaps this will be answered if we can find the will of Robert Vause of South Kelsey. For more on this see the Vause family page on our family Wiki.